Today's subject line: Lee Gelernt, an ACLU attorney, on the Trump administration's plan Thursday to cut back migrants' ability to request asylum. Gelernt forced the administration to reunite 2,500 separated families via a previous lawsuit. On Thursday, The Trump administration aimed to flout federal law to halt a still-distant migrant caravan, Supreme Court Justice Ruth Bader Ginsberg had three fractured ribs and major midterms races in Georgia and Florida remained unsettled — with recount threats looming. We're back after a post-election hangover: It's OnPolitics Today. Join our Facebook group. Get your friends to subscribe. And keep up with the latest. Trump had hinted at a shift in the nation's asylum system ahead of Tuesday's midterms, citing "rampant abuse" of "meritless asylum claims." On Thursday, his plan became clear: Bar those who cross the border illegally from claiming asylum and put them in expedited deportation proceedings instead. The move would directly challenge federal law — immigrants can currently request asylum, even if they enter illegally — adding to a new round of litigation over Trump's efforts to limit asylum. 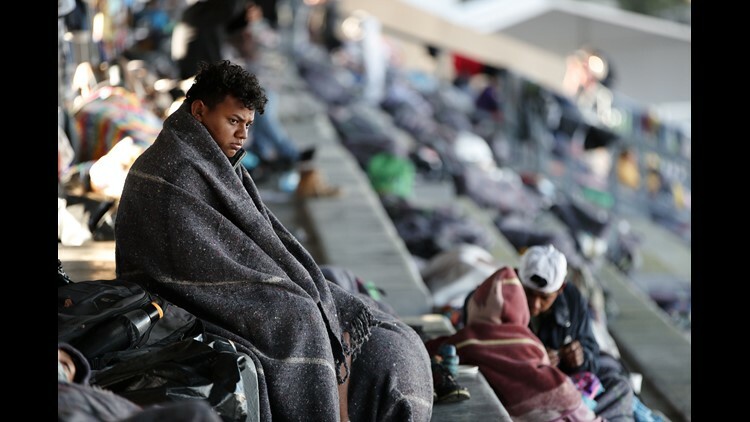 Meanwhile, the caravan's presence did not seem imminent: The migrants were at least 600 miles away as of Monday. Related: A federal appeals court Thursday ruled Trump can't end an Obama-era program that protects undocumented immigrants brought to the U.S. as kids. 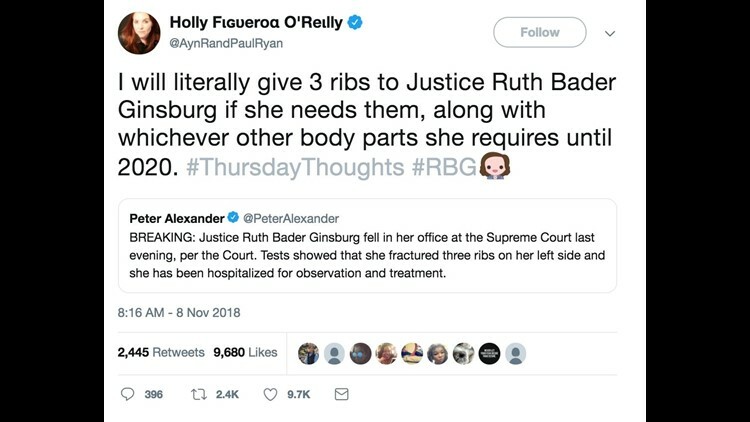 "I will literally give 3 ribs to Justice Ruth Bader Ginsburg if she needs them, along with whichever other body parts she requires until 2020." — Holly Figueroa O'Reilly, a Democratic organizer, in a tweet after news that Supreme Court Justice Ruth Bader Ginsberg was hospitalized Thursday after fracturing three ribs in a fall. Republican Brian Kemp resigned Thursday as Georgia's secretary of state after claiming victory in the state's race for governor over Democrat Stacey Abrams. The catch: Abrams hasn't conceded yet, and her campaign is filing a lawsuit to ensure "every single vote" is counted. The campaign behind Kemp, who oversaw the election as secretary, said his 64,000-vote lead will ward off outstanding ballots. Meanwhile, in Florida, an "army of lawyers" are working for Democrats to pursue a likely recount in the Senate race between Democratic Sen. Bill Nelson and Republican Gov. Rick Scott. Oh, and all those flipped seats Democrats had on Tuesday? Most had a Whole Foods nearby. His replacement is 'unconstitutional.' Or so says Kellyanne Conway's husband. Maybe Chris Christie will take his job? Stay cool. Or warm. 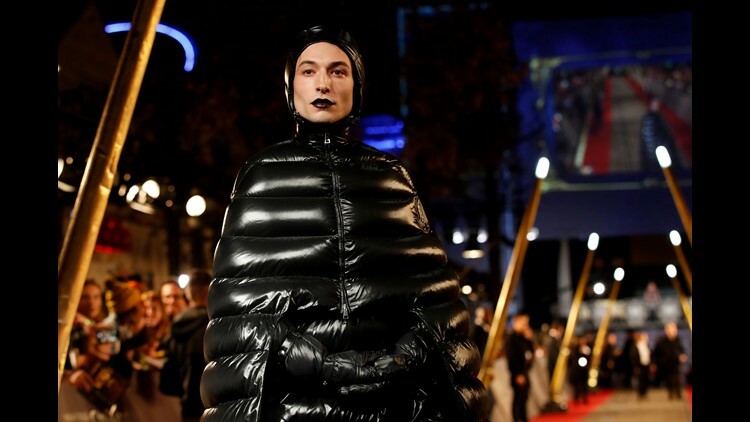 Or both, like Ezra Miller at the "Fantastic Beasts" premier.